But, during the period when the Etymotics were lost I was more than slightly perturbed at the idea of shelling out for a replacement pair of ER-4Ps. I thought about how much I use them, which is about six hours a week; and how much I enjoy using them, which is a lot - replacing them with something less expensive wasn't an option. 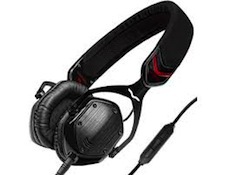 That got me thinking about my own personal price-point comfort zones when it comes to portable headphones. For me, $300 is the magic number - many of my favorite earphones are in this particular price-point. 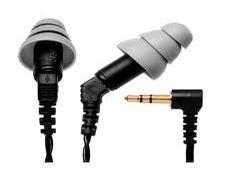 The Etymotic ER-P4s, Beyer DT-880s, Sennheiser HD-600s, Audio-Technica AD-900s, and B&W P-3s are all around this price (give or take $50) and they're all fine earphones. For several months after I got them, I used the Ultimate Ears In Ear Reference Monitors at the gym. But after a couple of momentary panics when I couldn't find them after getting home from a workout I decided that using $999 in-ears at the gym exceeded my personal comfort zone. Because, if I lost the Ultimate Ears Reference Monitors, my knee-jerk reaction would NOT be buying a replacement pair - at nearly a grand I would have to think about it, and plan it into my budget. So my question to you is simple, "What's your own personal earphone price-point comfort zone?"